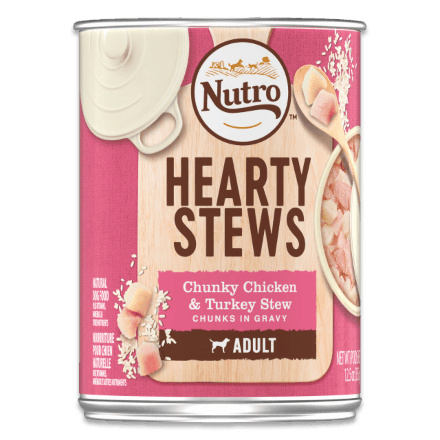 NUTROTM HEARTY STEWS Chunky Chicken & Turkey Stew Chunks in gravy is a tasty recipe crafted for Healthy Skin & Coat and is a natural Source of Glucosamine and Chondroitin to Support Healthy Joints. This natural dog food offers complete nutrition, rich in nutrients and full of flavour. NUTROTM Quality Pledge: Natural ingredients carefully sourced from our trusted network of farmers and suppliers, no chicken by-product meal, soy, artificial flavours or preservatives. 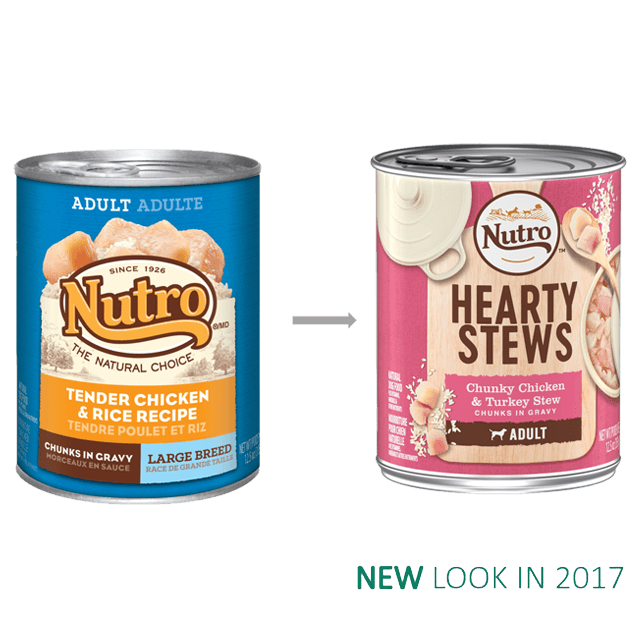 NUTROTM Adult HEARTY STEWS Chunky Chicken & Turkey Stew Dog Food is formulated to meet the nutritional levels established by the AAFCO Dog Food Nutrient Profiles for adult maintenance.